LAY OUT IN THE SUN & WORK THOSE BUNS! THIS HAS TO BE MY FAVORITE TAG LINE FROM THE WHOLE SERIES. WRITING ABOUT IT DOES NOT DO IT JUSTICE, PLEASE WATCH FOR FULL EFFECT, AND CONSIDER ENGAGING WITH YOUR PUBLIC WITH A SHARE OF THE VIDEO LINK. Dressing red, white & blue while Addressing your fitness needs. 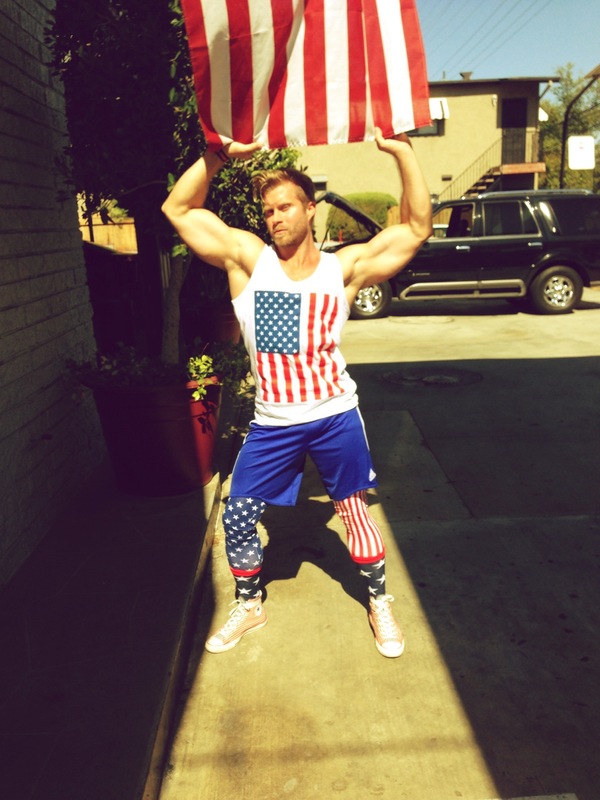 A July 4th inspired 5 Minute Workout.